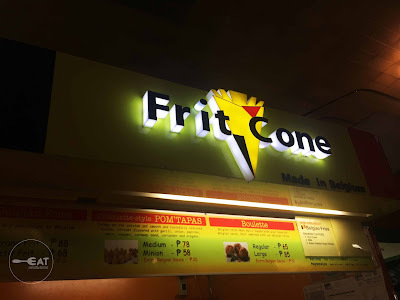 We ordered Frit Cone’s Mango Graham Fruit Chill and was surprised by it. For only P40 pesos, we were in for a 16 oz. of sweet treat. Mangoes and graham go well together. 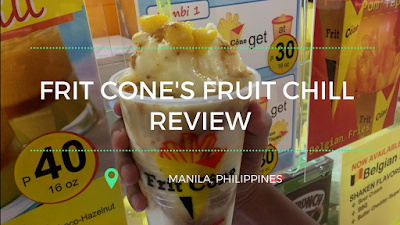 The Mango Graham Fruit Chill is the crossover of a shake, a ref cake, and ice cream. Basically, it is a shake eaten like a sundae on a cup with the mango graham refrigerator cake flavor. 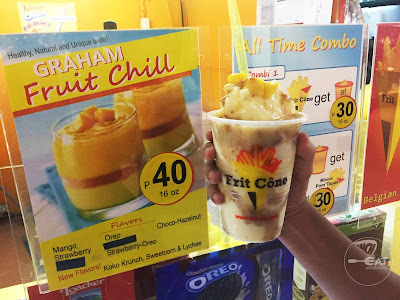 Graham Fruit Chill is sweetened by condensed milk. We really loved it! 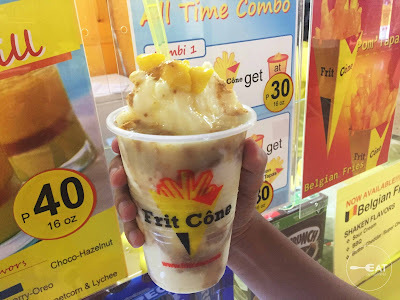 However, it would be nice if they also mixed the condensed milk with the shake itself because the sweetness of the topped condensed milk isn’t evenly distributed. Frit Cone also offer Graham Fruit Chill in various flavors such as strawberry, oreo, choco-hazelnut, strawberry, Koko Krunch, Sweetcorns and Lychee. 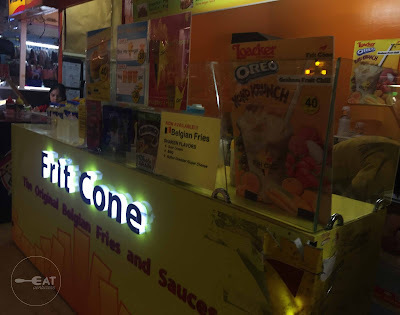 They also do not just sell shakes but also other finger foods, which we have yet to try. Check them out soon and try their underrated Graham Fruit Chill.